So you are officially invited to learn about a family secret of sorts. A highly processed yet undeniably satisfying sandwich that we’ve been eating for decades. Spam, Velveeta and tomato paste: junk food axis of evil or awesome sandwich spread? In my family, this unlikely combination of highly processed foods has served as a tasty, fast and cheap sandwich spread recipe for generations. It couldn’t be easier to make. Just take an 8-ounce box of Velveeta cheese, a small can of SPAM and a six-ounce can of tomato paste and mash it together. When the ingredients are evenly mixed and a mouth-watering shade of pinkish red, it’s ready to spread and bake. For the fancy version: Place a generous portion of the sandwich spread on halved buns or slices of bread and bake at 375 for 10 minutes. For the quick and dirty version: Microwave one sandwich for 25 to 30 seconds. Cheesy tomato SPAM-wiches are perfect for midnight snacks and quick, impromptu meals. Need a savory nosh in a hurry? These sandwiches cook up fast. Son’s baseball team drop by unexpectedly? This high-protein snack will feed a kitchen full of hungry mouths. The spread will keep in the fridge for days and satisfy cravings for as long as the bread lasts. If this cheap sandwich recipe doesn’t sound healthy or palatable, you are half right. It’s not healthy at all! But when SPAM, Velveeta and tomato paste join forces, the result is surprisingly delicious. 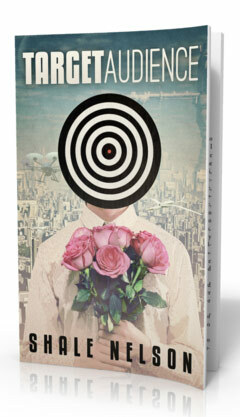 Shale released the sci-fi novella Target Audience in May. The book is available in paperback and on Kindle and Nook devices and apps. Place all ingredients into a large mixing bowl. Using a potato masher, mash all ingredients together until it becomes a paste. Alternatively, you could place all ingredients in a food processor and pulse until smooth. To bake: Place a few tablespoons of sandwich spread on halved buns or slices of bread. Bake at 375F for 10 minutes. To microwave: Place a few tablespoons of sandwich spread on halved buns or slices of bread. Microwave for 25 to 30 seconds.